Amazing opportunity to hear the world's leading youth Jazz Orchestra. NYJO has helped launch the careers of many of the UK’s most renowned musicians, including Guy Barker, Amy Winehouse, Mark Nightingale, Laura Jurd and Gwilym Simcock, as well as Dave Arch (leader of the Strictly Come Dancing band) and most of his band members, Martin Koch (musical supervisor for the London Olympics and Paralympics), and many other stalwarts of musicals, films and the studio. 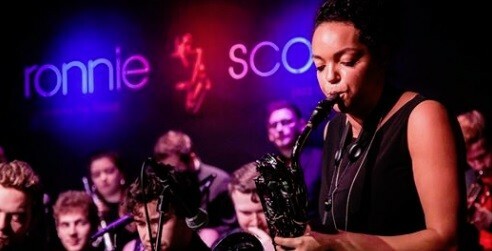 Recent highlights of the flagship band’s concert diary include a yearly residency at Ronnie Scott’s Jazz Club, performing with Gregory Porter at Buckingham Palace, a major European tour with the German (BuJazzO) and Dutch (NJJO) National Youth Jazz Orchestras, a televised performance at the BBC Proms and repeat appearances at the EFG London Jazz Festival. NYJO celebrated its 50th anniversary in 2015 and released a critically-acclaimed double album NYJO FIFTY.